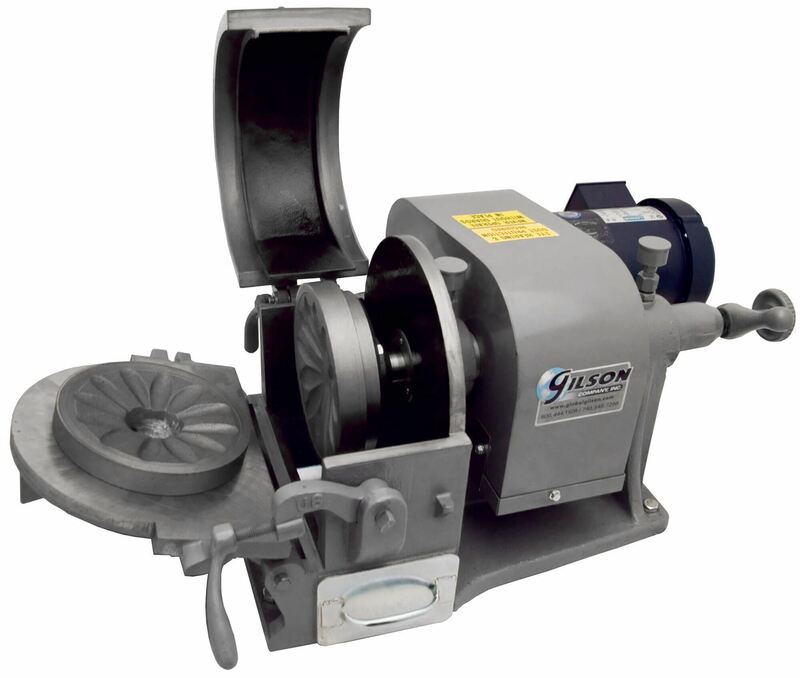 The pulverizer grinds 1/4in (6.4mm) feed material to approximately 75µm (No. 200 sieve size) in a single pass, depending on material. Throughput is approximately 60lb (27kg) per hour. A threaded knob with locking lever adjusts the gap between the 8in (203mm) diameter grinding plates to control particle size output. Stationary and revolving grinding plates are easily replaced. 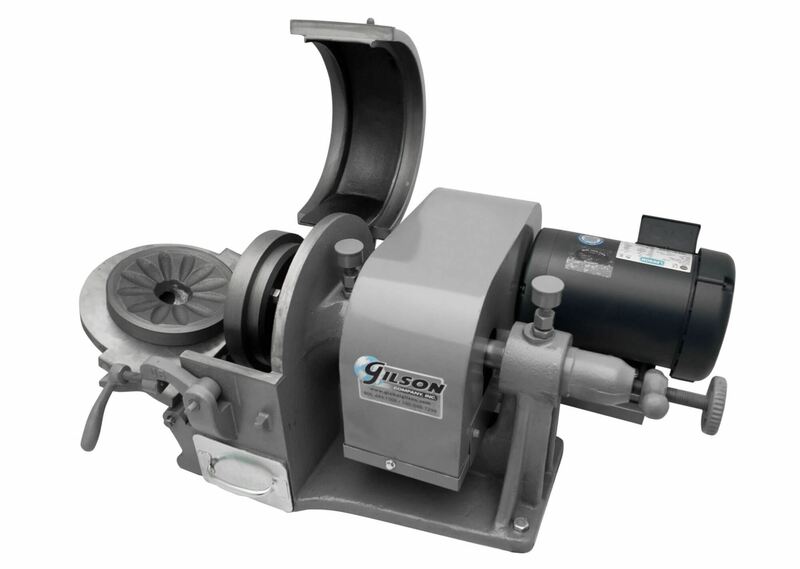 Power from the 2hp motor rotates the shaft at 900—1,000rpm through a double V-belt drive. The motor is totally enclosed and has thermal overload protection. Lubrication to shaft bearings is supplied by manually adjusted grease cups. Three-phase 50 or 60Hz motors can be set to operate on 220V or 440V. Inquire for additional voltages. A motor starting switch is included, and must be installed separately on-site. Safety guards, catch pan, and an LCA-6 Standard Iron Alloy Grinding Plate Set are also included. Additional grinding plate sets are available as accessories in a variety of materials and varying levels of hardness to meet individual applications.